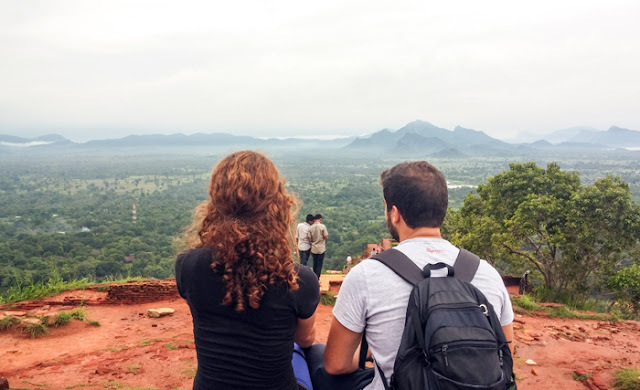 Whether you are one of those who adore Christmas, whether you belong to those who feel a bit melancholic and perhaps depressed in Christmas, in case you find yourself in Germany these days you will discover the true magic of Christmas. Cute wooden houses that seem to have come out of a fairy tale, a smell of roasted sausages among the frozen air, thousands of colorful hearts of ginger and plenty of mulled wine. This is how Christmas in Germany looks. Berlin and its approximately 60 Christmas markets were literally the reason why I loved Christmas. In the end of November, the central square of the city and the area around the Town Hall are transformed into a huge Christmas market. 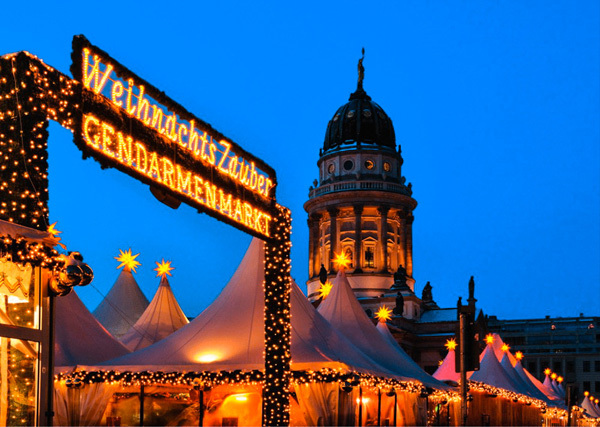 And though it is difficult to choose the best of all the city's markets, you certainly should not miss the WeihnachtsZauber Gendarmenmarkt (27/ 1-31/12), which is the only one of city's markets with an entrance fee (just 1 euro) with the great concerts and even more wonderful delicacies (I really loved the velvet carrot soup with ginger)! 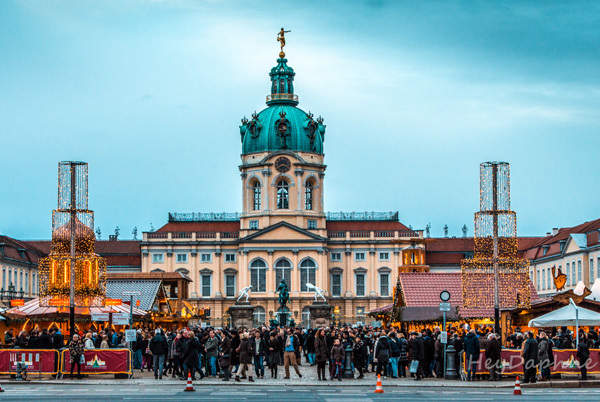 A bit further away from the center of Berlin is located one of my also favorites Christmas markets, the Weihnachtsmarkt vor dem Schloss Charlottenburg (21/11-26/12). In a beautiful area, in front of the Charlottenburg palace, this market is less crowded than the most central ones but it is certainly one of the most beautiful of the country. 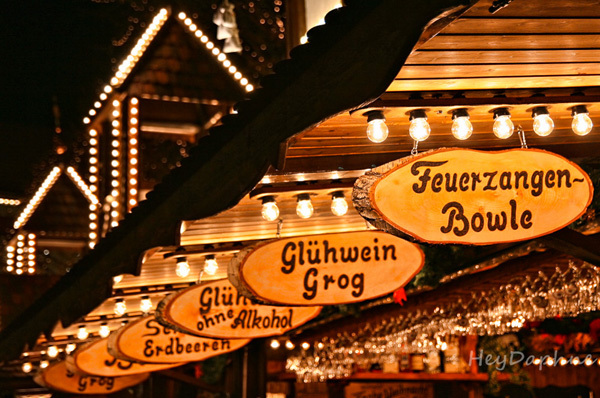 Find out more infos about Berlin's Christmas Markets, here! My second favorite city in Germany during the Christmas season is Dresden. The bad thing is that it's not just my own favorite as this small city on the border with the Czech Republic is literally sinking by the tourists during Christmas. 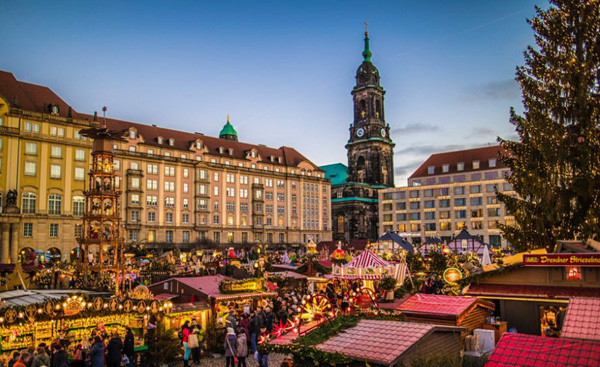 The Dresden Christmas Market, or Dresden Striezelmarkt as it is known, has been operating since the 15th century and is Germany's oldest Christmas market, making it an important reason to visit the beautiful Baroque city of Dresden. The 583rd Dresden Striezelmarkt, which boasts the tallest Christmas Pyramid and the world's highest Nutcracker, will open its gates from November 29 to December 24. 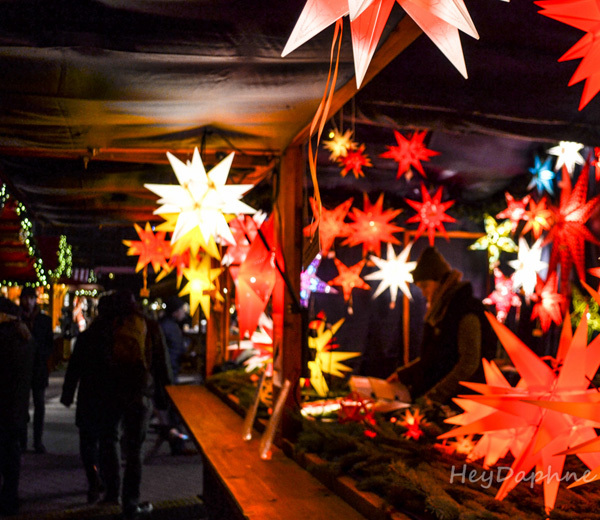 Find out more infos about Dresden's Christmas Markets, here! Another small town in Germany, very close to Dresden, which has its honor during the Christmas season, is Leipzig. 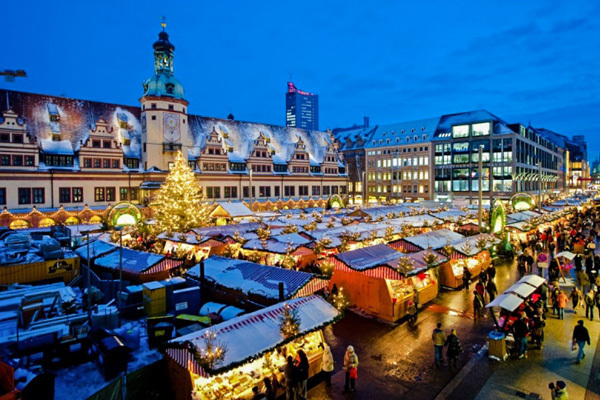 The Christmas market of the city has been operating since 1458, making it the second oldest in the country. 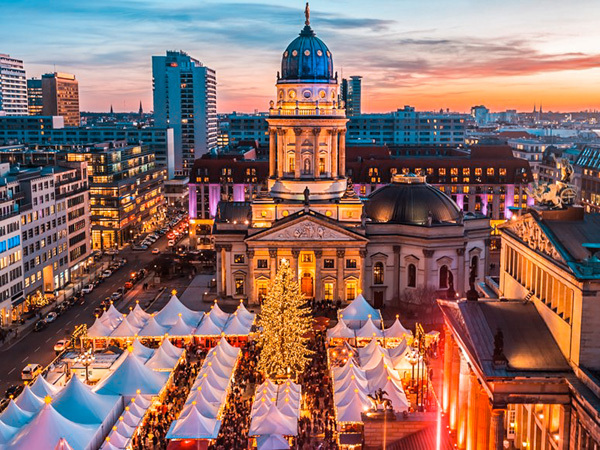 The Leipziger Weihnachtsmarkt (28/11-23/12) in the central square of the city) with about 300 stalls, the trumpet festival and wonderful concerts is so majestic and serene that it seems to have come out of a fairy tale. 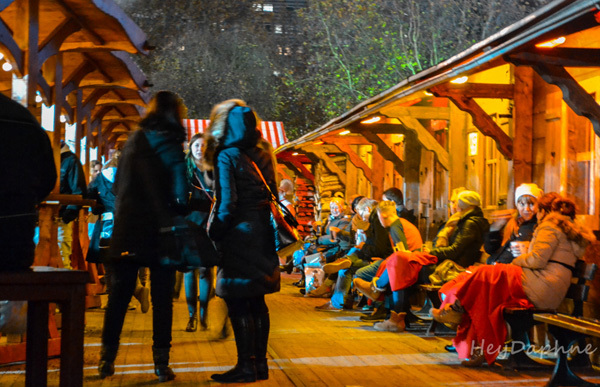 Find out more infos about Leipsig's Christmas Markets, here! In a country where Christmas markets are by far the best in the world, the city of Nuremberg prides itself on having the most famous among them. 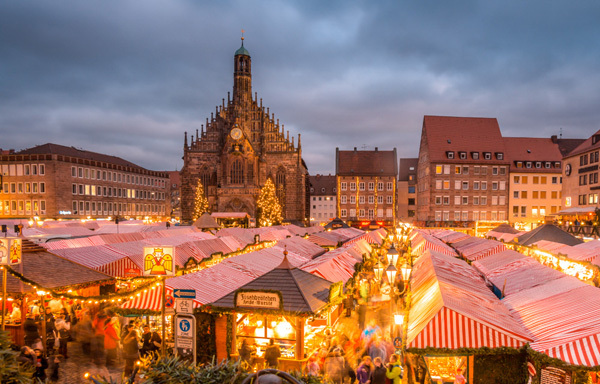 Christkindlesmarkt (1/12-24/12), has been operating since 1628 in the central square of the city and is the paradise of food lovers with the delicious Nuremberg sausages and the traditional ginger bread. A little further is the children's paradise, the Kinderweihnacht market with the beautiful carousel and the wonderful steam train. 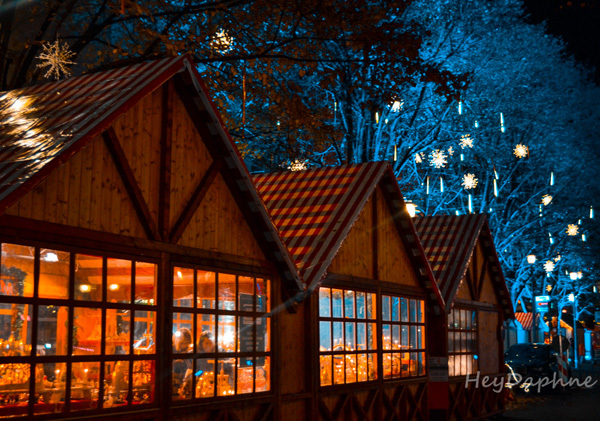 Find out more infos about Nuremberg 's Christmas Markets, here! The small medieval town of Rothenburg ob der Tauber, 100 kilometers west of Nuremberg, apart from a beautiful Christmas market, also hosts the Christmas Museum. 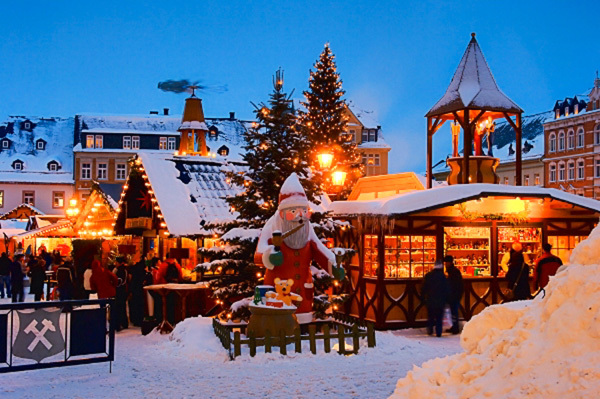 The Reiterlesmarkt (1/12-23/12), the Christmas market of the town has a history of 500 years and although it is much smaller than those of Berlin or Dresden it exudes a sweet warmth enchanting the visitor. To feel the magic of Christmas, take a glass of mulled white wine and one of the famous Schneeballen of Rothenburg and wander through the narrow cobbled and probably snowy streets of the city. 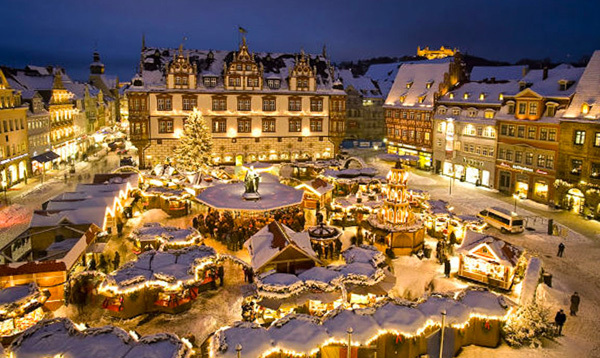 Find out more infos about Rothenburg ob der Tauber's Christmas Markets, here! 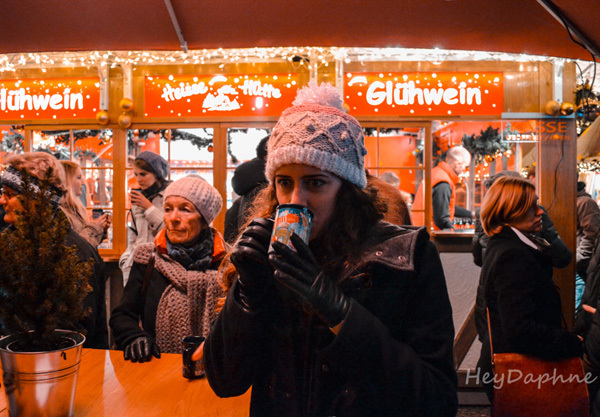 One of the first 3 things that come to my mind when I think about Christmas is gluhwein. Cologne, the city that gave birth to this sweet, warm wine with spices, could not be missing from my favorite Christmas markets in Germany. There are several markets in the city, but the best one is this in front of the impressive Gothic Cathedral of the city (27/11-23/12). 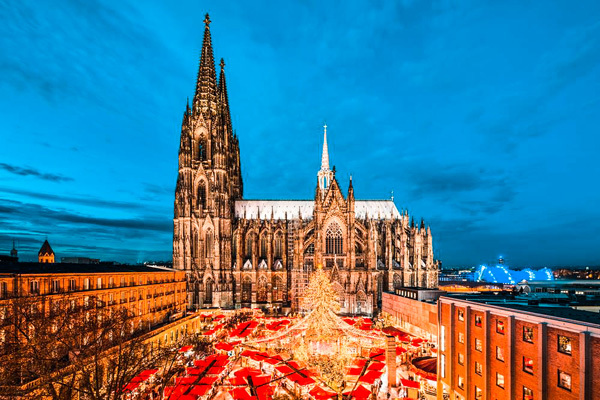 Find out more infos about Cologne's Christmas Markets, here! I'm sure that Hamburg's Christmas markets would be very interesting also. I hope to visit it in the futute! !